You can download a sample template with the fields you need to fill in. Remember to put addresses from the country you've created your account. 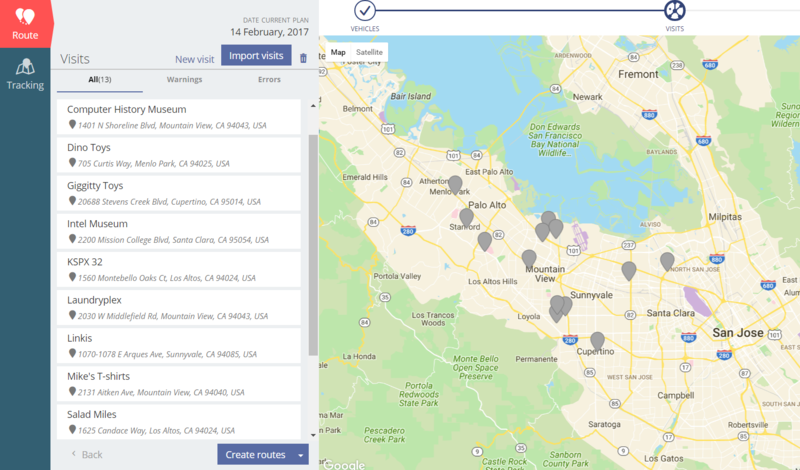 Look for an example template on SimpliRoute, Route, Import Visits. 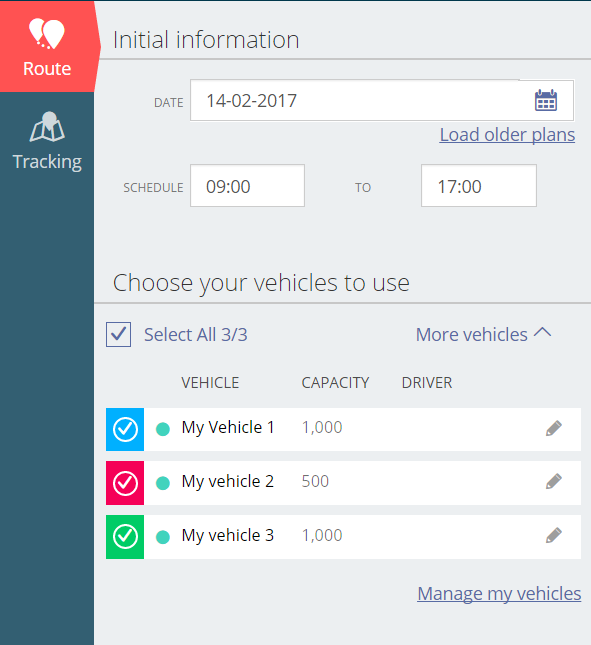 To continue, log in on You'll need to input the information of your drivers and your vehicles. You only have to do this once, as the system will save your information for future routes. First, choose the date of your deliveries, and the schedule in which you want your vehicles to work. You need to create your first vehicle to continue. 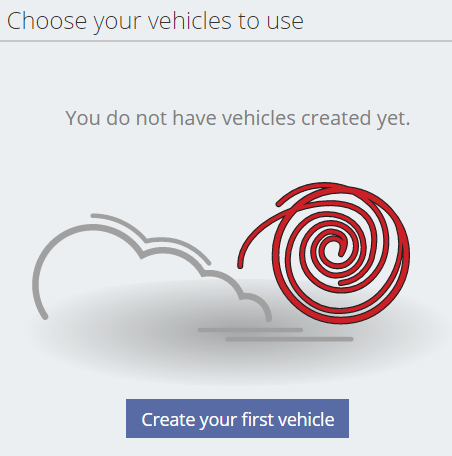 Click on "Create your first vehicle" and complete the required information. Then, click on "Save". You can add as many vehicles as you want on "New vehicle". 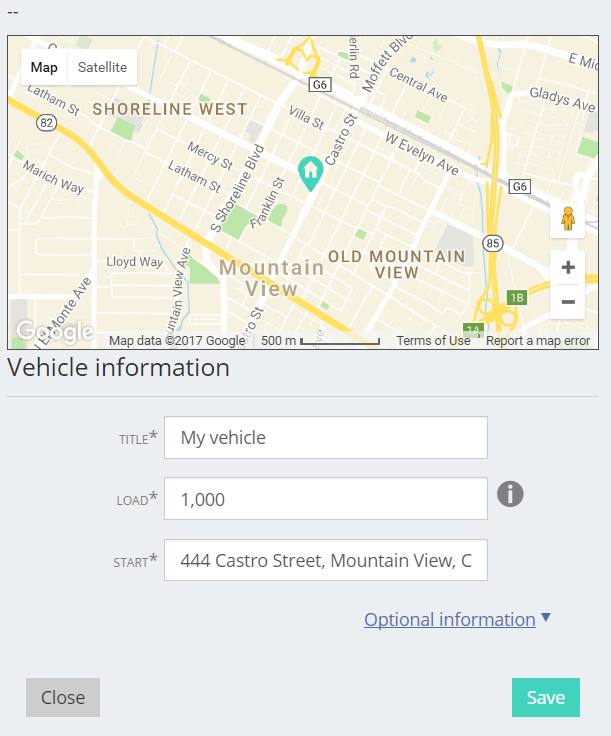 Just like with the vehicles, you need to create a couple of mobile app users (drivers) in order to continue. This is not mandatory, but if you don't do it you won't be able to use SimpliRoute's tracking later. 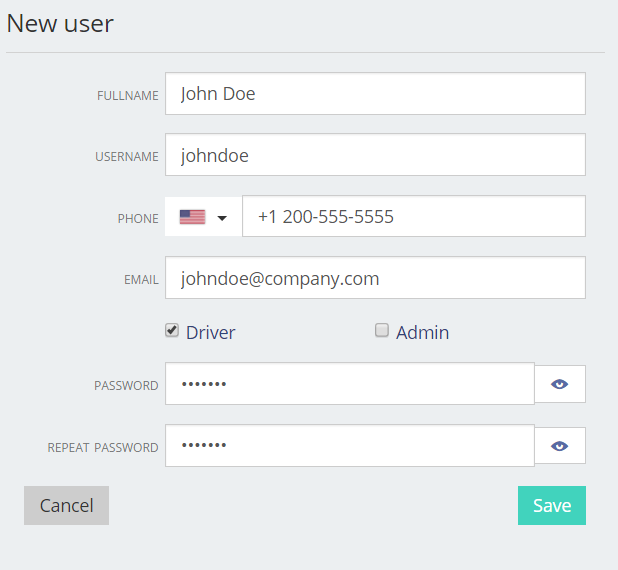 You've got your excel file and your drivers and vehicles on our platform. Yipee! It's time to create some delivery routes. 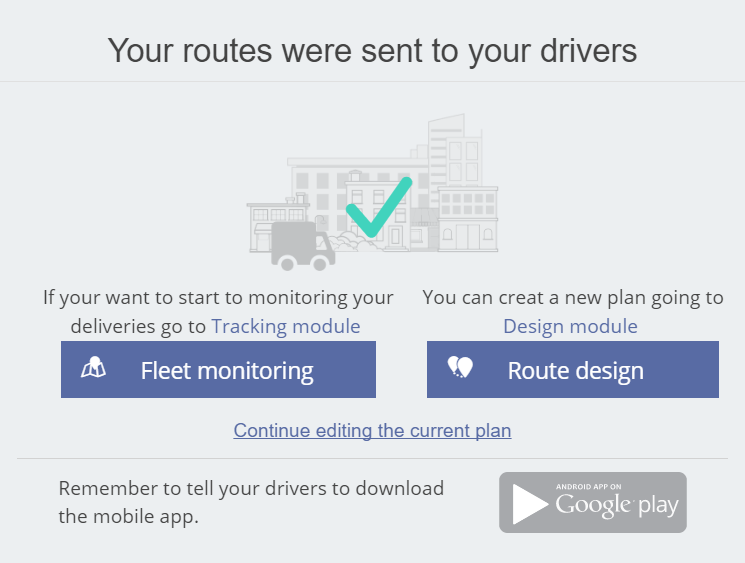 In order to import your file, go to the "Route" section when you will see the vehicles you've already configured. 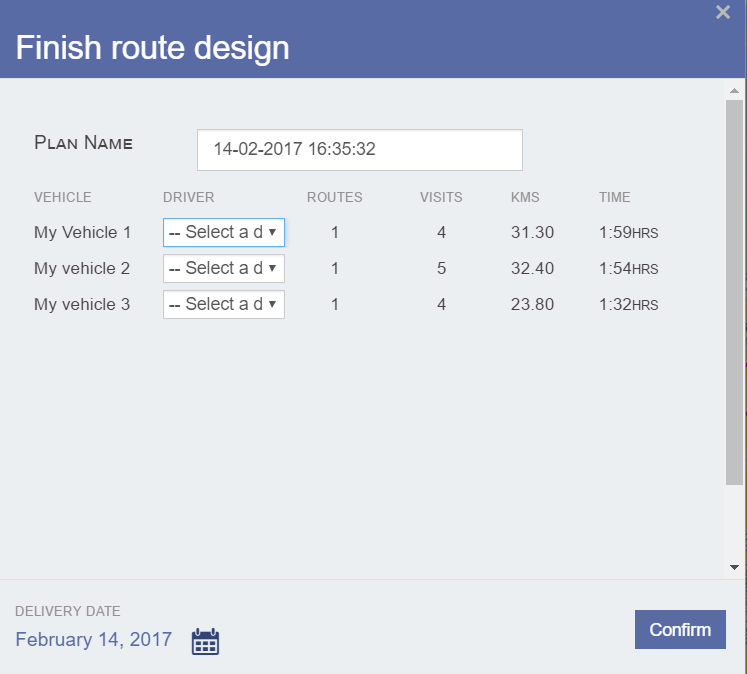 Click on "Route" and upload the template with the order data. Click on "Create Routes" and voilà! On this final window, you must select which driver is going to drive which vehicle. Confirm your routes to create them. 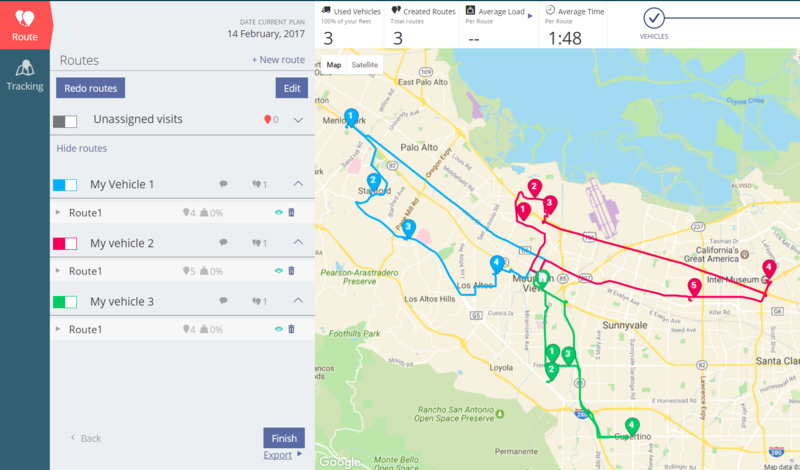 You can learn how to track your routes in real time here.